What is actually happening backstage? Is it a possible unofficial WOW server? Is the admins here secretly WOW players to the point where problems that come up here never get fixed until months after it has been addressed? I honestly have no clue nor does anyone here. That last part was completely satire, but still this is one of the weirdest thing this site has ever done to me and a few others. scaryred24 wrote: Now this site has done some freaky things lately and this time I have taken the liberty of capturing a screenshot of the madness. Haha this is easily explainable. The current forum theme is dependent on a WoW themed phpbb forum template to work. It must be installed on the forum for this theme to run. But It's disabled so nobody should be able to see it. I assume a bug is causing it to rear it's ugly head from time to time. I've never actually saw this occur. It must be a 1 in 10,000 chance. Mazone has reported it once in the past but this is the only other occurrence I've heard of. I would like to solve the bug but I'm not sure what is actually causing the template to break. Do you remember exactly what you did or clicked on to make this happen? If you can recreate it that would be great because it would give me a lead to solve it. Anyway sorry for the weird WoW bug. It's definitely not intended. Impulse wrote: Haha this is easily explainable. 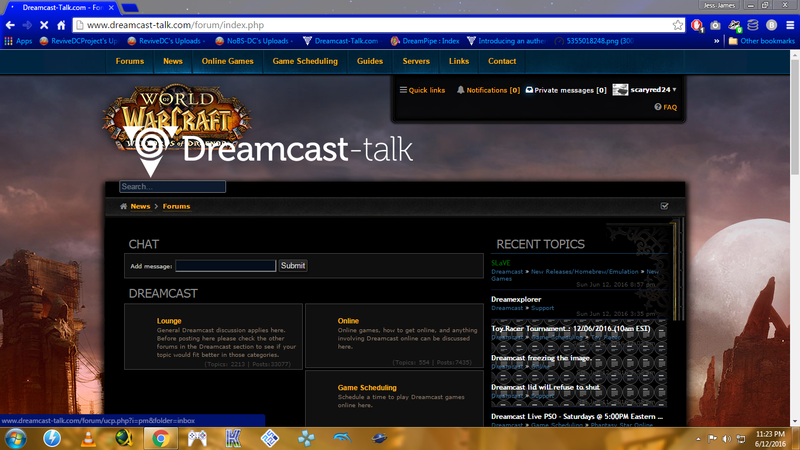 The current forum theme is dependent on a WoW themed phpbb forum template to work. It must be installed on the forum for this theme to run. But It's disabled so nobody should be able to see it. I assume a bug is causing it to rear it's ugly head from time to time. I've never actually saw this occur. It must be a 1 in 10,000 chance. Mazone has reported it once in the past but this is the only other occurrence I've heard of. I can not recreate this bug unfortunately. It seems to only happen when the seems to be put under a heavy load of processing something. This site seems to go down and act up from time to time. Let's say every 6 or so times the sites decides to not be up, there will be like 3 of the times where it is extremely slow and the forum template seems to break. However there seems to be that the site is properly functioning whenever I seem to lurk around here, it's just slow to respond to any up to the very point where my web browser of choice decides to give up and display a DNS error. now out of those times where the site decides to act up there seems to be a 1/15 chance that the theme comes up as WOW. I know this information is quite vague, but I am one of the 3 users who are being affected by it and I really don't know how accurate this information really is. mazonemayu is one of them and if i'm not mistaken Tact also had this happen too. That is all the information I know about this. There is one more when sometimes I start browsing the latest updated threads I tend to get a Mysql error stating that the page does not exist. The error seems to go away after reloading the page. I may have to update this post and take a screenshot of that if it ever happens again. scaryred24 wrote: I can not recreate this bug unfortunately. It seems to only happen when the seems to be put under a heavy load of processing something. This site seems to go down and act up from time to time. Let's say every 6 or so times the sites decides to not be up, there will be like 3 of the times where it is extremely slow and the forum template seems to break. However there seems to be that the site is properly functioning whenever I seem to lurk around here, it's just slow to respond to any up to the very point where my web browser of choice decides to give up and display a DNS error. now out of those times where the site decides to act up there seems to be a 1/15 chance that the theme comes up as WOW. I know this information is quite vague, but I am one of the 3 users who are being affected by it and I really don't know how accurate this information really is. mazonemayu is one of them and if i'm not mistaken Tact also had this happen too. That is all the information I know about this. I have noticed the increase in database errors over the past 2 weeks. 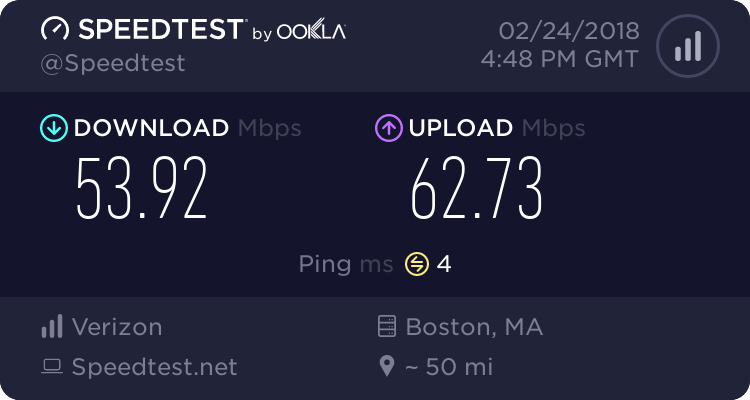 I contacted my host regarding the issue. I'm always at their mercy unfortunately. I appreciate you looking into it. One of these days i'll get to the bottom of the WoW glitch. Looks to be more common than I thought. Just letting you know i have site access problems last monthes not database errors but whole site not loading at all or very slow. It's almost as if the site DDOS 5 minutes ago. I heard back from my host. They increased the memory limit in the phpbb database. This sounds like it will solve the errors. But please let me know how it goes. Well that server upgrade you made did diddly jack. It still has it's issues.